Estonia is one of the most magical places you probably didn’t know existed. Located in northeastern Europe along the Baltic Sea, this small, forested nation could pass as the setting for a modern woodland fairy tale. 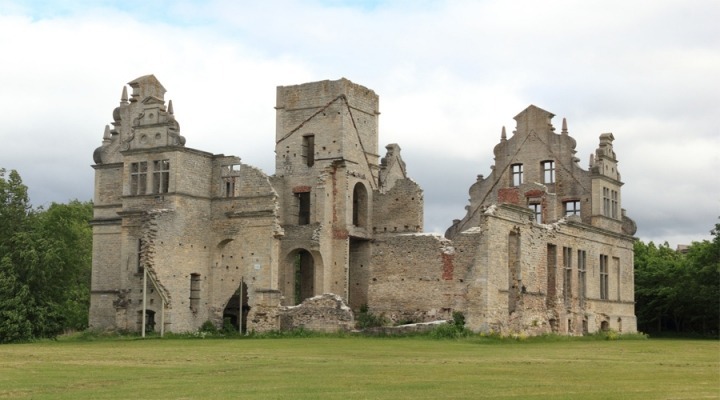 Recognized for its charming, elvish-sounding language, unique blend of Eastern and Nordic cultures, and millions of acres of undisturbed forests and protected land, Estonia is the hidden sanctuary of your travel dreams. 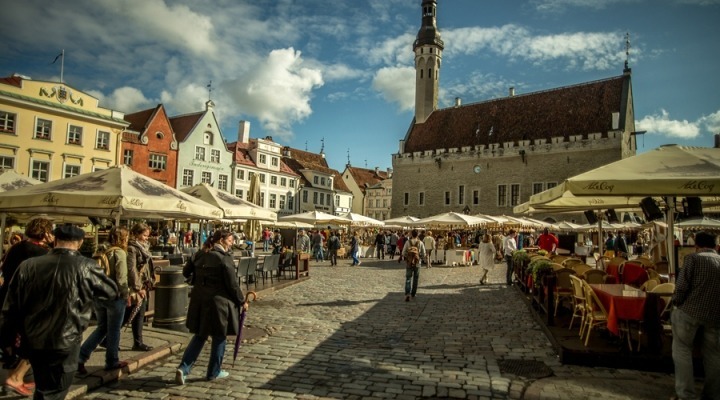 Perhaps best of all: Estonia’s proximity to popular European capitals and low-cost accommodations and cuisine make it the perfect destination for budget-friendly travel! 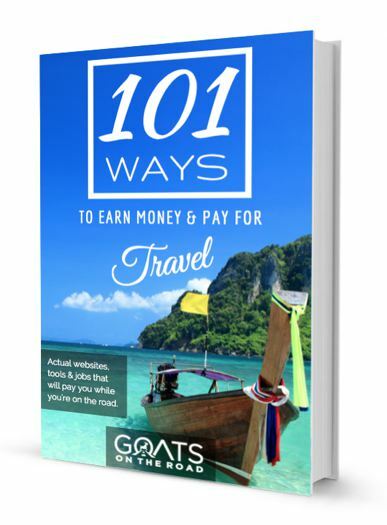 Here we’ll share some tips for navigating this fascinating country— without breaking the bank. Nearly 50% of Estonia’s terrain is comprised of forests and other natural landscapes. In fact, Yale University’s 2016 Environmental Performance Index awarded the country a perfect score for its biodiversity and habitat, thanks to its boundless protection of national and global species and marine and terrestrial areas. So what does this mean for you, a budget traveler? It means there’s no shortage of otherworldly landscapes to hike, kayak, canoe, and explore— most of which are completely free to access! If hiking isn’t your thing, there’s still plenty to do that won’t force you to break out your wallet. Stroll through the outdoor art galleries and museums, tour ancient castles, visit historical churches, and attend free festivals. Foodies will enjoy taking part in the annual, 2-day Grillfest Festival located in Pärnu each June. Not sure where to start? 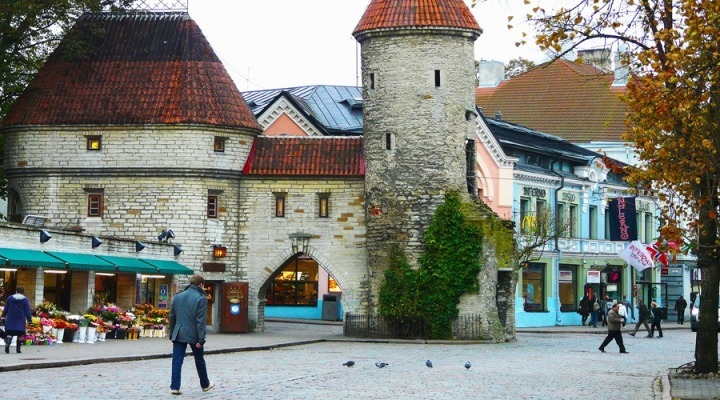 The Tallinn Free Tour leaves every day around noon. 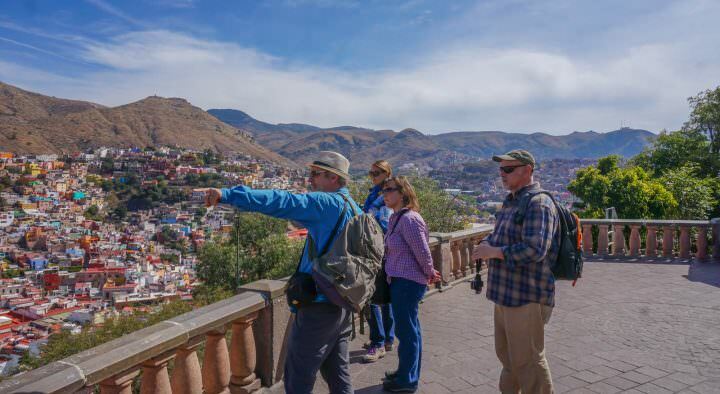 As the name suggests, there’s no cost to join the tour, but be sure to tip your guide! Getting to Estonia is a relatively simple feat from almost anywhere in Europe. The country is a short ferry trip away from Finland and Sweden, a bus trip from Warsaw and Berlin, and an overnight train from Saint Petersburg. 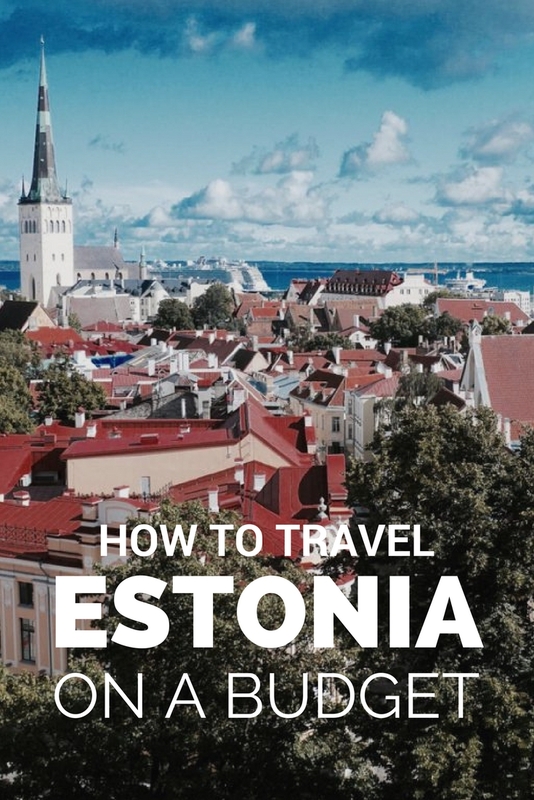 To find flights to Estonia, see ferry schedules, or purchase a bus ticket, check out Visit Estonia’s travel and transportation page. Once you’ve arrived, you’ll have several options for getting around on a budget. In larger cities like Tallinn, you’ll find an expansive network of trams, trolleys, and buses that extends outward to smaller towns. If you purchase a paper ticket, expect a single ride to cost about USD $2 (you will need exact change). You may also have the option to load a plastic card with the amount of credit you’ll need to get around. If you’ll be frequenting Tallinn, another option is to purchase a Tallinn Card, which entitles you to unlimited free public transportation, free admission to over 40 attractions, and other discounts. The card has a slightly heftier price tag, however, at about USD $34 for 24 hours, USD $45 for 48 hours, or USD $55 for 72 hours. Internal bus routes in Estonia start at just USD $2, and train rides can be anywhere from USD $1 to USD $13, depending on the train and the distance you’re traveling. Most Estonian towns are fairly small, so in many cases you should be able to get around on foot. The short distances between destinations also allow for the economical and eco-friendly transportation method of bike riding. You can cycle the entire country in just 2 weeks! Be sure to check out these 8 tips for staying safe while taking public transportation in a foreign country! 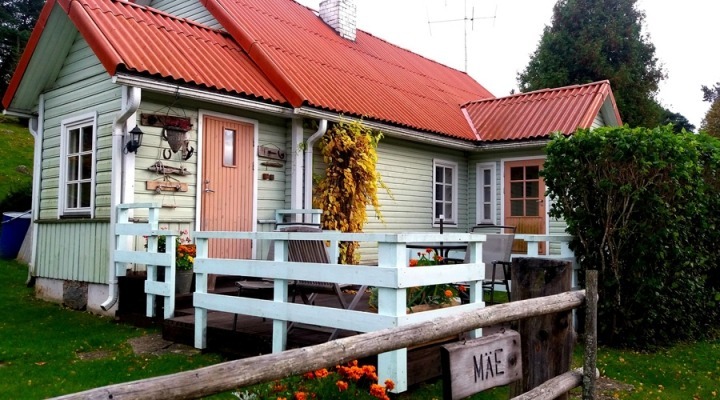 The best advice for finding affordable accommodations in Estonia is to think like a local. Forgo the hotel and stay in a guesthouse or a bed and breakfast (both start at around USD $10). If camping is more your style, you’ll want to travel to Estonia in the summer months, when temperatures are mild by day and cool by night. The Estonian countryside is ripe with low-cost campgrounds starting at just USD $5 per night. Other options include holiday houses, which fall around USD $30, hostels, which are typically priced between USD $10 and USD $30, and guest apartments, which range upwards of USD $30. There are also tourist farms and holiday villages scattered throughout the country. 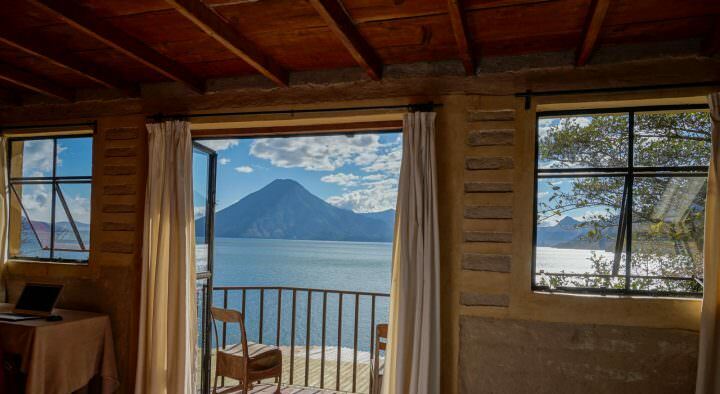 These lodgings typically offer several types of dwellings, gorgeous views, and recreational activities—all for a very reasonable price. The Kakulaane Tourist Farm in Lauküla küla, Sangaste vald, Valga maakond, for example, starts at just USD $5 per person. When booking your accommodations, keep in mind that the weather is most favorable in the summer. 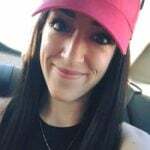 Deals, however, tend to pop up most frequently in spring and fall. “International and fusion gourmet food can be enjoyed very inexpensively in Estonia, making this a desired destination for foodies,” boasts Visit Estonia. In fact, a medieval-inspired feast in the capital city of Tallinn often costs just half the price of a similarly sized meal in other European capitals. Estonian food is infused with traces of Russian, German, and Scandinavian influences. Some of Estonia’s top-reviewed restaurants (that fall under the “cheap eats” category) include III Draakon, Kompressor, and Bogapott, all located in Tallinn. Each features its own distinctive Nordic creations, unique atmosphere, and budget-friendly menu options. If you’d rather pick and choose your ingredients and create your own traditional dish, you’ll find Estonian supermarkets all over the place. Dumplings are a popular budget food that can be found in local grocery stores for about USD $1, or in cafeteria-style restaurants. And while the woodland mushrooms known as chanterelles are considered a delicatessen in Western Europe, you’ll find them fresh and affordable on the shelves of your local Estonian market. Must-try foods include handmade, organic loaves of black bread, smoked ham and sausage, elk meat soup, Kalev chocolates, and any and all Estonian dairy products. When in Estonia, do as the Estonians do. Take public transportation, indulge in local cuisine, and explore the enchanted woodlands and medieval streets that make up this hidden gem of a country. You’ll be so glad you did! Get the best money-saving travel tips — all in one place. 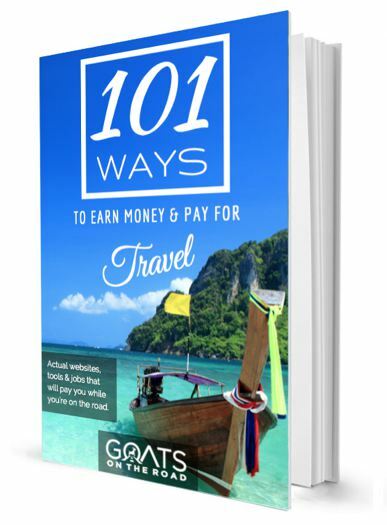 Download the FREE “Ultimate Guide to Budget Travel” today!